I want to be comfortable. That is a pretty broad statement to say the least. I want to feel comfortable in my skin, in my mind, in my body and soul. Comfortable with me and who I am or who I continue to evolve into being. It seems that my identity is caught up with what I do instead of who I am inside. I’m a mom, a daughter, a sister, a studio owner, a yoga practiioner, a woman, a friend and the list goes on with the outside things that I identify myself with. All great things of course and I am super proud of what I have accomplished. I will continue to forge ahead with these goals I have, however being comforable has this level of acceptance to it. Living in acceptance for the good and the bad, for the happiness and the sadness, for what you recieve and what you give. How comfortable are we with living in accectance for what is? Going to India and practicing Ashtanga yoga is not necessarity the way be be comfortable. There is a lot that goes on from the first day in the Shala to the last days. I have to say that coming to Mysore this time was like coming home for me as there is this big family of people going through similar expereinces. From the beginner to the more advanced practitioner, everyone is in this transformational mode. Every student is focused inside the Shala. I personally think I know what to expect although we work to teach ourselves to let go of these expections. When we let go of expectations is when the yoga can begin. Whan we let go of expectations we allow ourselves to transform. Part of this transformation for me is what I call coming home. When we let go of expectations we allow ourselves to evolve and grow. It was interesting as this last month I realized that my self imposed limitations were just that and in my mind. There was this level of consistency that I experienced in my practice. It had to do with the physical asana, having just the right assistance where I needed it as well as doing what was expected. Mentally I was pretty consistent, except for the day when…well that’s another story. In any event, I felt surrounded by a support system inside this practice space. One of the shifts that happened was that mentally I tried not to judge my practice or get disappointed if something did not go as I expected or would have liked it to go. I made a pact with my mind that I would try to accept what happens on the mat and leave it at that. The first month, some emotions came up which I label the struggle. So many judgments as well as other emotions kept creeping into my mind as I practiced. So here I am feeling comfortable, trusting in the assistance I recieve daily when I need it. I remember to embrace the built in tools of the method. I am ready to do my backbends seeing the person who has been helping me consistently nearby, pretty much at my mat. It’s so hot so I’m working to improve my breath as it gets fast and choppy. I have some preconceived notions about what ending well means in my practice. I drop back, come up. She hasn’t moved as she is patient. She encourages me with her eyes. I drop back again, come up and Sharath is there. This is not the plan I had in my head. Most of the times, I am very comfortable being taught by the wonderful teachers in the room who he has as his assistants. I have to clear my mind again from these thoughts. He stepped in because he knew I was getting very comfortable. I quickly decide that it’s enough of this dropping back so I cross my arms in preparation for the final backbend. He is ready for me although he would have waited for me to drop again. I figure, why would I do that and I decide I’d rather not. This is all in the time it takes for nod my head, cross my arms and ready my breath. I go back and we catch from the air just as I have been doing. He moves my hand up a little. I work with him as sometimes I shake my head no with others. I’m looking at my nose, trying to breathe the best I can. When I come up, I don’t grab him this time. I’m pleased but truthfully I’m more relieved and maybe even surprised. I get adjusted in the forward fold. This all left an impression, because I did not think I had much to do with this. Turns out it’s me that I have to trust. I say that Sharath is shedding some light in many ways and that day working with my mind was what I needed. It’s not about the doing but it’s about where is your mind. Can you really be one pointed and focused? Can you go beyond a self impossed limitation and be at home? I have to leave this experience here for now. I’m ready to come home in more ways than one. Most times the valuable lessons are the ones when we are struggling, persisting and have the patience to keep working at something to reach whatever goal we had in mind. Every one has something different even though we are all in the same class. This is how it works in all Mysore rooms. I’m in the KPJAYI University right now where everyone has a different project. All of us are studying Mind Control through the various sequences and postures that are part of our personal practice. We all come together in the Shala to do our daily Sadhana and we are taking part in this Sangha. It’s effective and keeps us on the right path to this journey that we have come across called Yoga. The journey for me this far has been one of self-discovery and change. The first month here I took the time to settle into my routine, do my practice and to heal. Healing was not going to be automatic but persistence and patience is built into the method to aid in this process. The consistency with the practice was the first key to new discoveries. Getting up the same time each day, eating properly for the practice, getting proper sleep and treating yourself with loving kindness sets up the environment for the best possible outcome. My best possible outcome this time around is only to feel at home in my body and to have peace in my mind. Each day is truly different in this practice. Weak, strong, flexible and stiff, this practice does not lie. It reveals the process if you let it and it asks you to be patient. Today I fell down … twice. In the falling we get back up and in the missteps we aim to get back on track. The first fall was in balancing, which was early in the practice and in a posture I have been doing for a long time. I noticed Sharath call out the drishti in led yesterday, so I was changing it up and trying it out. I NEVER usually fall here and looking back I feel lucky I did not hurt anyone. This is happening with the eyes of my teacher Sharath on me. I’m also positioned in the first row just two mats from the middle. This whole process of practice is not an easy thing. The mind tells you that you can’t or asks you why you want to do this. I know that I am better all around if I take practice and move into the challenges that I face. Today I wasn’t so sure that I wanted to do my last posture at all or I thought I could do it but not give to much energy to it. Remembering that the method has these built in tools to help us focus I persisted when my mind was telling me something else. Once again more lessons from my morning practice. I fell again doing something else. In the end I was able to finish and do what my practice calls me to do. Falling became something not so big a deal at all only to take lessons from it. For me a lot of what I learn on how to deal with difficulties and challenges comes up on that rectangular mat I spend nearly 2 hours of every day on. Living in India helps with that as well and the life experience here is transformative. 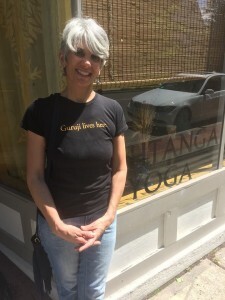 My sons are very supportive of my personal yoga journey however get somewhat annoyed when I use the asana practice to explain to them about hard work and persistence so I am careful not to mention asana and I do a pretty good job dancing around the subject when I’m trying to relate a personal experience these days. Today as my youngest struggled with overdue assignments and classes that are great but really difficult, I thought about my last posture. I told him keep at it, just keep at it and don’t stop. You will get through this and you will be glad that you did. I told him he might have to struggle a little, ask for help when you need that hand moved and someone will be there to pick you up if you ask them. Otherwise pick yourself up and keep moving forward. He’s encouraged because like me we are doing and studying what we love. It’s not easy but there is joy in the process. I’ve been reflecting these days on how when we stop to enjoy how we are getting to where we are going, life happens. In other words when we stop rushing around to one thing or another and take a pause we can experience life in a whole new way. I come from a place of being busy. Then when I trained myself to look at my life as FULL, I felt a little better. I mean it sounded better, it sounded pretty productive, however I think it was the same. I looked at my life in terms of how much I could get done. I measured my self worth from that with not much time to pause. These days in India are full of self-reflecting. I have goals. I want to finish that epic novel, study, learn and make progress in what I do. I keep myself as a student of yoga here. In the meantime, I think that the real joy is in the process and in the learning, in the connections and in the experience. In terms of measuring progress, well that’s sort of objective, meaning it is not always this linear line that goes up. There is progress in every way we may be moving as wisdom and learning is there. This week was full of surprises, synchronicity and special moments. They weren’t planned events so to say and they fed me in so many ways bringing joy and a sense of feeling connected. They happened in between my breaths as I took a minute to pause. 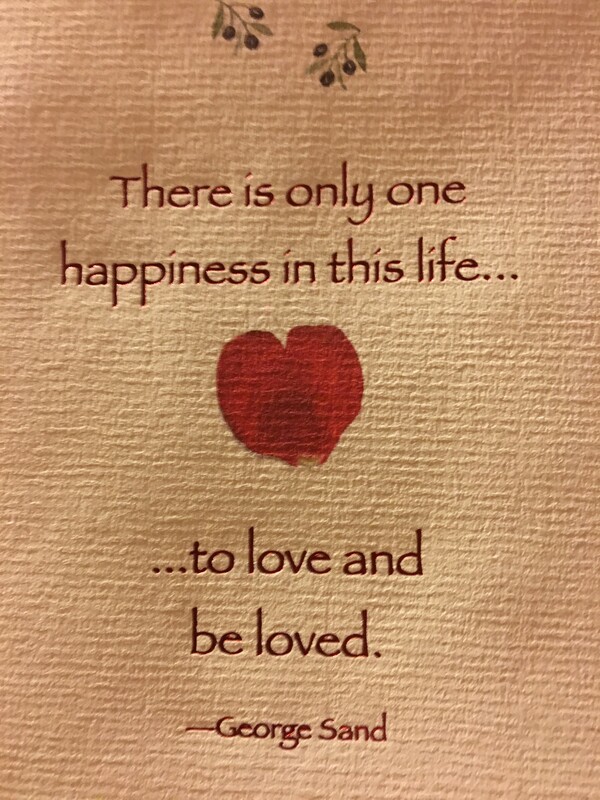 It was from meeting a new group at a café for breakfast, joining a group on a walk around the lake, lively discussions for a late dinner, seeing old friends in new places, rooftop gatherings, saying yes to an adventure, to following the cue and seeing where you end up, it has all been wonderful and relaxed. I think about the practice of asana and what Sharath says about patience in the method. It’s about patience in the method and enjoying the journey, our own personal journeys with the practice, and our own personal journeys in this life. I notice and am more aware of the silence in between the breaths and know that therein lies this pause where a lot of what we are yearning for lies. It’s quiet and reflective and peaceful. It’s not scary there; it’s living and experiencing who we are in the pause. It’s 10 days that I’m here in India with lots of things settling in now. I came here for healing, to practice with Sharath and to settle my mind. I have persisted, been patient and worked hard not to judge. The biggest issue was judging myself and not being as compassionate as I could. I have a strong faith in this practice as a healing one. The warmth here feels good on my bones. The first week is hard for everyone. There is excitement and a continual letting go of any expectations. We are human, we get excited and we are hopeful. We want things to go well and then we are reminded that we are not in control. We just have to do our best everyday. We aim to do our best preparations and move forward. Registration is always very exciting and there are lots of discussions around start time. I’m comfortable, tell Sharath that I’m in for 3 months and my times are as good as they can get, meaning there shouldn’t be too much in the way of moving me in the time that I am here. It’s very early and the discipline of the practice starts just after New Year’s Day with led primary. The consistency with practice is the healer. Each day I have a routine, which includes coffee, a light drip of a hot shower and a yin like session before walking to the Shala. It’s a short walk and I take it briskly as there is a slight chill in the air. I usually bundle up, which feels good. You can’t be attached to anything when you enter that room. You are the “one more” and you go where he nods you to go. Short one, tall one … I’m medium, so today he said tall one and I went as there were only 5 of us waiting. I was the tallest in that bunch! Of course, he did not miss to mention, “You are tall one?” Whatever. I rolled out my mat and smiled inside. As I explored my final pose and figured I’d learned enough to move on, I went on to back bending. Today with the added poses of intermediate, I question my energy and the quality of my breath. I push up for one and Sharath is standing there. He is busy telling things to others waiting but he’s still at the edge of my mat. Even though back bending is your time, you have to do it without delay, so I go up again and then I am up, all the time working hard not to feel rushed and I still have to drop back on my own. One back, two back and he’s ready for me. I want to be ready so I take some breaths and he nods. He drops me back and on the final one I touch and I walk, he says a little more and I go as I am reminded when I did not keep going and he motioned to me how close I was last year with his thumb and forefinger. I was disappointed then, as I had not trusted myself or could not find the little bit more. This time, I trust, I’m taking charge of that nasagri drishti and I walk and walk and touch my heels. both sides. He’s pleased. No mater what, I am doing the work and it’s all going to be okay. These things get you thinking. This practice gets you feeling. How does it keep working for me year after year? We keep learning from our experiences and then we continue to learn to surrender with faith and trust. Yes, It’s going to be okay, cause it has to be no matter what. There are lessons in the method all the time. It’s really all going to be okay. I remember the day in New York when I was in the led class with Guruji very clearly. It was nearly 11 years ago. I had been practicing Ashtanga for a few years and I had recently come home from a business trip where I hurt my back and had to go to the ER to get my muscles to relax. I had an x-ray and was sent home with a prescription for Valium and Percocet. No diagnosis, just that my lumbar spine was pretty flat and what they did for me should relax the muscles that would not release. I was practicing in my hotel room and threw my back out when I mindlessly threw my legs up for headstand. It was very painful and I knew nothing of why this would happen or how to get back. When I got back to my home studio I actually wrote my teacher and told him I was going to take some time off. Basically I was going to do restorative and spend my time, money and energy in restorative sessions with another master teacher. I did not want to quit but I was in pain. My Ashtanga teacher at the time was pretty fixed on regular practice and that the practice can heal you. The way I understood what he told me was that my issues may be something with the emotional body and that I may be holding onto some past trauma. I was taught to trust in something bigger than myself and to respect the primary series. I don’t think you can teach someone to have faith however my teacher who had a ton of faith in the practice, influenced me. He went onto explain to me that I needed to understand that it is a big practice and that I would have to ease back in slowly. This to me was not how I did things when I first started. I did not really know how to do things less than 100%. I had to learn and I continued. Also practicing the led class in the city seemed like a big deal and although I was hesitant, I went. I’ve been posting some new classes and after rereading I thought to myself how does anyone really now what I’m talking about? I keep saying Mysore like everyone has this clear understanding. I use the word to describe something, a style of practice and if you practice in this method you understand what goes on in the Mysore room. One way to learn about it is to observe a session or class however the best way is to participate. The Mysore Room is the Yoga Room and the *Shala is the Yoga Studio. 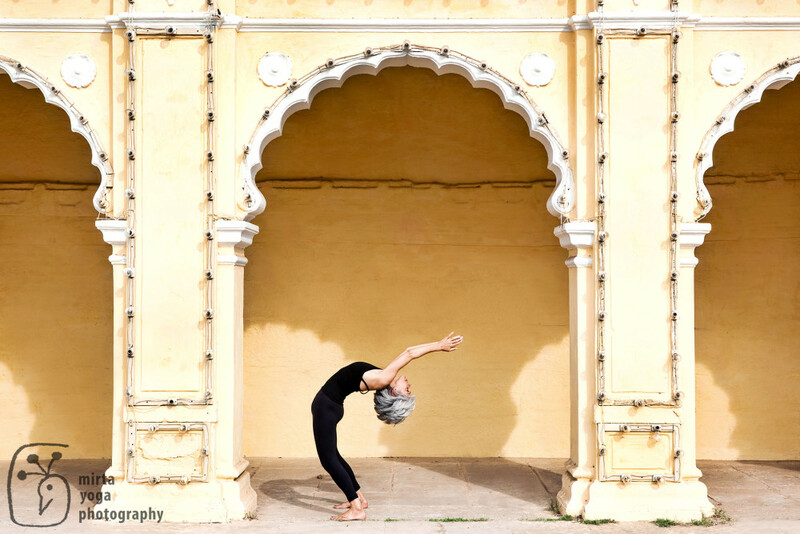 Mysore is a city from which the practice originated and also where yogis in the Ashtanga method go to practice with their teacher. It’s a pilgrimage to the source. A Mysore session is where you get to do a self paced practice. That’s after you learn the sequence in the Mysore room under the guidance of your teacher. Your teacher also gives out the new poses and will let you know when it is time to add on to your practice. This applies to all levels of practitioners. There are hands on adjustments, verbal cues and lots of learning. New sensations, sweat and sometimes the mind is on overload. Your practice is your own and you are instructed in the asana (poses). The count sounds funny and instructions are brief. Sanskrit is used for the names of the poses mostly. For a first timer there are a lot of new things happening. First timers get instructed, then they get to be independent, but they are not sure that they want to be. The mind is more active for someone new to the mat. Students are instructed to breathe, to let the thoughts go, come back to the breath some more and to come back to doing the vinyasa. The vinyasa is the coordinated movement with the breath. Last week someone asked me what I practiced and I said, “Ashtanga Yoga”. They remarked, “Oh is that the one with the breathing?” I was pleased and replied, “yes, yes, it is.” and continued to explain that she had given it a perfect description. The Mysore room is also a place where the teacher can teach you in a semi private way. The teachings are built off where you left off the last time you practiced at the Shala. Many times we get in our own way and we opt out. We leave too early, we try to do it on our own. We don’t trust that this method will work or that we will ever learn what to do. That it’s too hard. Yoga is not easy however in the Mysore method you only are instructed to do what you can do. There is support of the teacher, support of fellow practitioners and a shared energy that helps on the journey. Anyone can practice this Mysore method of Ashtanga Yoga . . . you just have to want to do it. *Shala is a Sanskrit word meaning, “home, abode”. A Yoga Shala is a ‘place of yoga’. It is a gathering place for students of Traditional Yoga to practice, share, experience and grow. What keeps you coming back to the mat? I have been thinking a lot about what keeps people coming back to the practice. Truth be told, I have been thinking about why I continue to do so too. What makes us continue with the things that we struggle with and how do we deal with the journey that is not always an easy one, be it mentally or physically. I am reminded that this asana practice is a tool for me to stay balanced and let it be the hardest thing I do so that life off the mat is met with equanimity and joy. When I looked for things to be easier, I was mistaken. The effort keeps changing and the only limits are the self imposed limitations in my mind. Even with physical limitations practicing yoga is about settling the chitta and not how the asana turns out. The practice is our blueprint. I come back time and again to the dedication, determination, discipline and devotion that is required to us to have a long time journey with the Ashtanga practice which Sharath has spoken in conference time and again. I also come back to the fact that I have faith in something bigger that myself and see the transformation effects of the practice in myself and others I teach. There is trust and with trust there is love. We need to take care of the temple. I remember being at the juice bar and having conversations about this with people who have been exposed to the method, who say “oh yeah, I’ve done Ashtanga Yoga, but I do ______ now.” (insert whatever you like here.) They wanted to know why I do it every day. Instead of coming up with an explanation that would not be easily understood in a brief encounter, I said “It’s what I do. 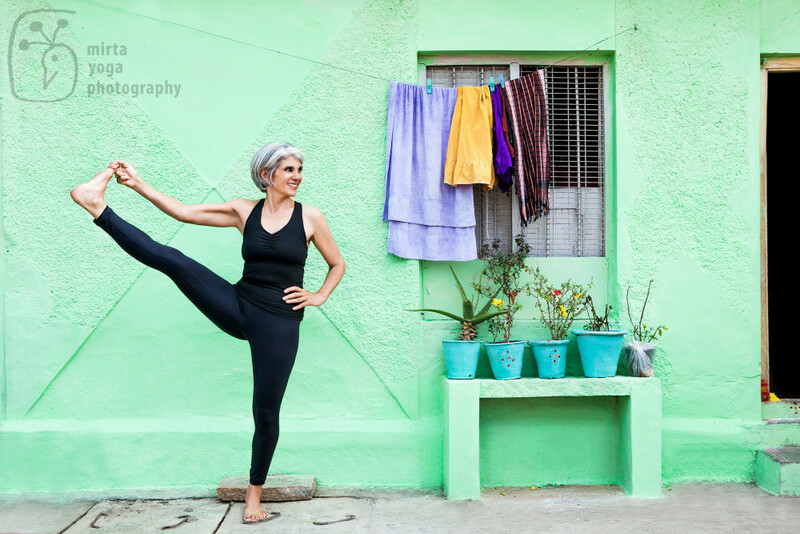 I practice daily just like I brush my teeth.” In reality I never understood why runners could run everyday without a big explanation but that I got on my mat and did my practice created a “WOW” effect only because it was a daily *sadhana. *Sadhana means daily spiritual practice. It is the foundation of all spiritual endeavor. Sadhana is your personal, individual spiritual effort. It is the main tool you use to work on yourself to achieve the purpose of life. There is certainly a honeymoon period with the practice that can be as little as a month to years. So what happens after the honeymoon? What happens when you feel something, a new sensation or even pain. Do some people get bored and leave. You blame it on the room, on the teachers who give too much attention or not enough. I can seriously say that every day I learn something on the mat no matter where I am and no matter how much attention I get. It could be a simple shift in an emotion or thoughts that are easy to let go of or I can see what I am holding onto. When people say that they don’t have time and have lots of excuses, my thoughts go to the fact that life somehow makes room for the practice if we want it to.
. . . Cause everyone else is taken right? I had to breakdown to breakthrough to get this simple concept. I mean who else can we be but be ourselves. Earlier this month, upon entering the Shala as Sharath calls the “one more”, a fellow practitioner leaned over to me and whispered, “Be Yourself”. We had been waiting for some time and our now 7:30 am group had been getting to know each other just by waiting together. You see how some people sit quietly, some read, some pull the curtains open and push open the windows, some whisper, some seem impatient and some are calm. 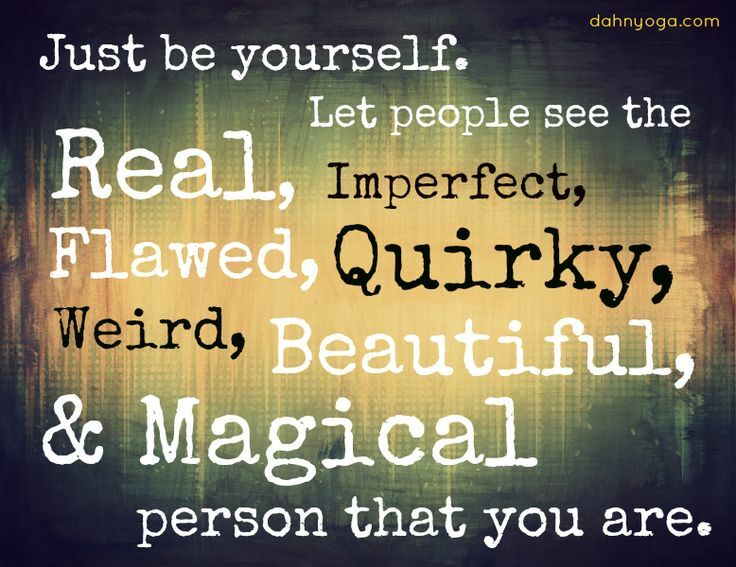 It’s the energy we share and everyone is certainly being themselves. The quirkier they are, the more I identify with them. You see when you are quirky you see it a little more clearly in another. As I began to practice I had this awareness that I had to embrace myself and be myself as I approached the mat and the series. I also had to let go of some things in my mind. 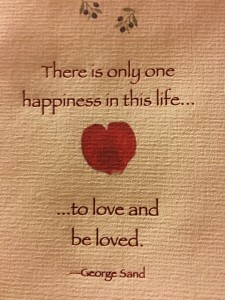 It surprised me that I wasn’t dwelling on anything as I stepped on the mat. Yes, yes I had to be myself. It’s my breath I’m working with and my body to still my mind. Sometimes you want to get to the mat do the practice and have everything go just the way it is prescribed, but it is a practice and practice is what we do. If I had to throw in the towel every time I judged myself for lack of doing something the way I thought it should be done, my practice may have been over at Surya Namaskar A, second one or something like that many times. 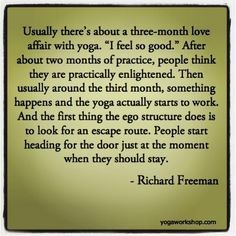 I kept moving through the practice and felt more and more at home on my mat than every before. How to accept ourselves without making excuses for what we do? I kept working this angle, letting go a little more as the practiced moved on. Next gift of the morning, Sharath is there to back bend with me. He of course is there for my dropping back which means he is standing next to me as I do it. Then he gives a nod and I’m happy as I feel focused and calm. On the final drop I reach the floor and then I walk, I walk, I walk my hands. He says “keep going, same way” then he says “left hand” and I’m not certain what he means. I just stay put there breathing and then it is time to come up. He motions to me with his thumb and index finger about 1 inch apart. That is when I realized he was telling me that if I crawled a little more on the left I would be touching that heel too! Doesn’t matter, I had a sense of doing what I could do. I had a sense of him working with me and what was right for me. I was really relieved as I nodded to myself thinking, be yourself. I can’t be the next guy. I can’t be anyone but myself. You can’t go back and all we have is right now. We need to be at home with ourselves to move forward. Practice helps us to see this. Some of us have to work hard to stand up, to go down, to jump back, to breathe, to focus or just to get on the mat. Some times we have a hard time getting out of our own way. 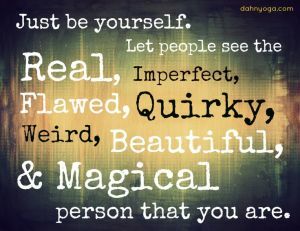 Sometimes we have a hard time just being ourselves. We can’t be happy if we cannot be ourself. Everything is pointing back to this. We never stop growing and learning but you gotta be yourself while you are doing this. We all have our own work, our own healing and our own dharma. The break through that we make in our practices can start as you are standing in Samasthiti or as you take rest. For me that day, it was as I took rest, I felt a sincere sense of who else can I be? I was relieved that I could “Be Myself”. It was a happy sensation as I felt that I was sincerely home. “No fear, no fun.” This is something that Sharath likes to say with regards to the practice. Everything on the mat, all the mind stuff and controlling the thinking while doing your asana practice relate right back to living life. 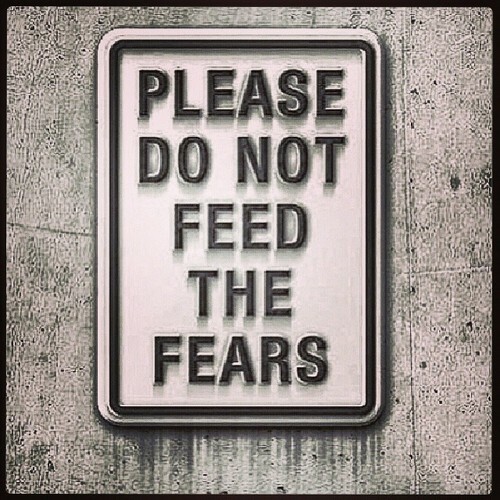 If you feed the fears, they stop you from the experiences on the mat and in life. Living in India is different to say the least. One of the things I decided to do while I was here was to rent a scooter for a little freedom. This may not seem like a big deal to some but I’ve never driven a scooter, let alone in India. It’s one of those things that you just have to try, observe, learn and experience. Pay attention and learn. Today I figured I would adventure out of Gokulam and try to find an address of something I had in mind. I never found it, although in the adventure I was able to put the no fear, no fun rule to the test. Things were great as I had been driving around a lot, following people to far away places like the pool or a cool pizza place. After my first adventure on the scooter to the Banyan tree, I was told many things after that would be easier on the scooter. You beep the horn . . . a lot. Every time you pass someone, come to a cross road, see another bike from the side. You just beep. It’s meant to let someone know you are there and they in turn are letting you know they are there. So both of you are beeping. It’s quite loud but if you are not using your horn, you are not doing this driving thing correctly. I guess I beeped but then the beeping did not stop. It was a long loud beeeeeeppp which would not shut off unless I turned off the bike. I pulled over and tried to disconnect. A guy on the side of the road gave me a screwdriver to pull the level out. I disconnected it but it was still beeping. Very loud, very annoying for everyone. It’s hard to imagine a beeping sound being annoying to Indians but they were like WTF. I shrugged my shoulders and said I had to find a mechanic meanwhile the bike still beeping I drove off. I pulled over and a woman dressed officially came over to give me some directions. I had to turn the bike off to hear her. I made the turn she mentioned and then was directed to walk the bike up on the other side of the road and he is on the left. In India the mechanic is just on the side of the road fixing bikes. He was working on something and was able to leave it to help me. This fine mechanic takes his bike to buy me the little part I needed, took my scooter apart to disconnect the horn and then put it all back together again. It’s the pay attention and learn that helped me stay together. Panic would be of no use as in any situation as when you have fear, you panic and nothing gets accomplished. I remembered a conversation from the night before on fixing bikes. For Tim is was the clutch, 150 rupees and he got it taken care of saying how easy it was and how lucky he was back from his long trip outside of town. If we pay attention to each other we help each other. That conversation helped me to understand how these things get done in India. When you are in India you surrender to the unique culture. Instead of questioning, you realize how cool it is that there is a mechanic who can help you, earning money on the side of the road. I still figured I could find the address so I was ready to try again. I got sidetracked as hunger set in, I came upon a very popular place with the locals. I was outside of Gokulam and you may not run into many Westerners. No place to sit so I figured I would wait. If all these locals were here it must be good. Again, watch and learn how it is done. How they eat, where you pay, how they manage the food and once you learn you can fit right in. It’s fun to do although fear would stop anyone who does not want to feel out of place. It’s about having the experience and letting yourself have the experience. Next for the ride home. The adventure doesn’t stop as it starts to rain. I’ve gotten caught in the rain before so I figure I’d wait for a bit. It seems to lighten up so I start the scooter up and venture home. As I go along it seems that the monsoons are hitting, a very heavy rain now. I keep going along carefully and keep moving as stopping now makes no sense as I am soaked to the bone. I think how sucky it will be to have a cold here. I pull over to put my sack with my phone in it under my seat. I’m glad I take a minute to do this, as I like having my phone in working order. I can hear Kerstin saying how she learned not to break in the rain. I’m nervous as no one seems to be out but me and I keep going. I make it home drenched and happy to be safe. I also feel full from my wonderful adventure today. I caught today. I was happy. It’s not the first time ever but the first time this trip. In addition, I have never had consistency with it. There is an emphasis here in Mysore in “catching”. It is expected that you do the work to do this and it seems that no one gets away without doing the work. I’ve been a hard worker all my life so why stop now? I do have some excuses that keep me from having that faith that I can “catch”. One thing I know, it just keeps coming back to the techniques. There was a day last week when I was struggling and trying too hard, I was told to come up. Then when I am stalling, I have to be ready to get assisted. It’s like you have a bubble over your head with the all the crazy thoughts spelled out so everyone in the room who wants to can read them. No one wants to by the way. It all comes down to practicing that mind control so that you can practice yoga. There are these yoga techniques we have and as you grow and mature in the practice the body changes making these techniques more important than ever. I mean everything has to be just right. The breath, the focus and the willingness to put your faith in whomever you are working with. This cannot come just at back bending time either. It starts in Samasthiti; otherwise it’s too late for me. It’s hitting that reset button as Kiki says so that I can clear the mind throughout the practice. This time I had some extra faith to catch as John has been observing and assisting in the room since I arrived here. In many ways before today I have sought his advise and have been following it before I even got here. Last year he said go back and “you do” and to make a long story short, I went back and I did and I started to rebuild. In some ways I feel like I am at the beginning . . . again. I was happy I caught today but I almost forgot about it until now. And now that I am thinking about it, I may have to do it tomorrow. Herein lies the dilemma, as how can I be sure it can happen again? Yoga is about controlling the mind, so back to the techniques to do this and back to practice. The emotion that comes with catching is great and I felt really good in the position. I’d like to do this every day and that is the unknown. You cannot predict and you can’t expect that you will be like you were the day before. Whatever emotion, bring it on. We have the tools. We are growing and evolving every darn day on this planet. We can’t stay stuck in anything for long when we practice even if it’s happiness. It’s been said to that some of the best learning happens when we come to the practice with a beginners mind. I know I am not alone when I say that every day I come to the mat I learn something. One day at a time is actually one breath at a time. That’s the best technique ever.